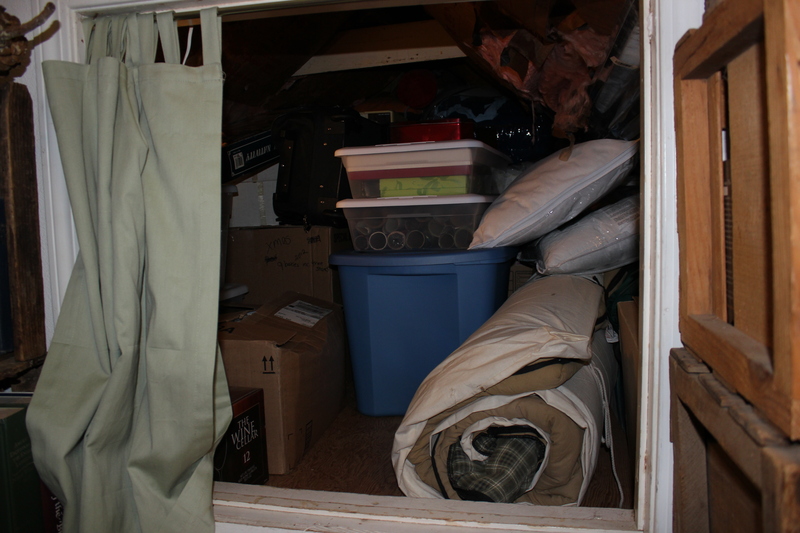 I stuffed Christmas away in the attic today. I am going to hurt like the dickens tomorrow. The attic is an 8×6′ space with sloped walls. I have to put on knee pads to crawl in and out of there and no one can help me because there isn’t enough room for one person to turn around, let alone two. I pity my husband if I ever leave him and he has to figure the attic out on his own.